Sunco is proud to provide friendly, local, in-person support so you don’t have to struggle through long calls with remote tech support or waste time on hold with big call centres. With a deep knowledge of all things telecommunications, our tech support team has expert troubleshooting knowledge and skills. They’ve seen it all and are ready to help! 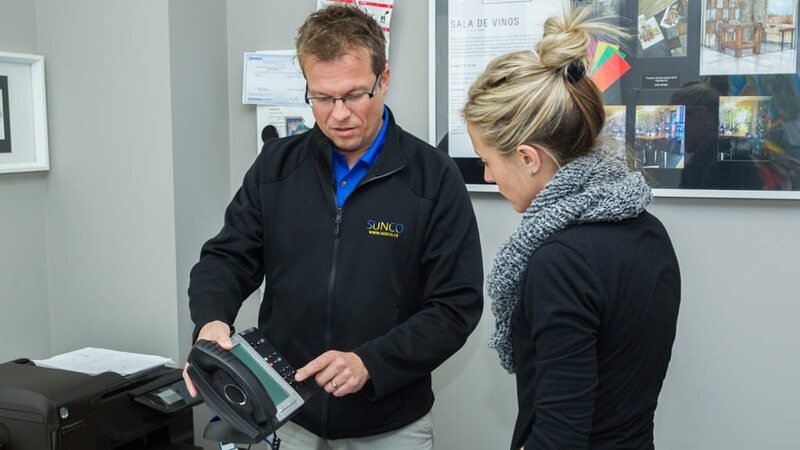 Sunco staff are also manufacturer-certified, meaning they will be able to understand and deliver any changes you may require to your system. Sunco works with trusted partners to provide fast, efficient and cost-effective service to customers all over Western Canada. At Sunco, we believe in empowering our customers to understand their communication systems, enabling them to reduce downtime by troubleshooting and making changes internally. We provide convenient and comprehensive on-site training as well as user guides and documentation so you can make quick fixes or changes on your own schedule. All of our phone systems can be self-managed. Choosing to take care of your own basic changes is often faster, easier, and more cost-effective — especially if you find yourself in a frustrating situation like needing to reset your voicemail on a long weekend. With the proper system training you could fix that situation in seconds! At Sunco we are Dialed into your Business and provide a personal touch to everything we do. That’s why we have a dedicated team member who creates customized training programs and manuals for each of our customers’ individual business needs. Have a question regarding VoIP or Cloud hosting? Check out our FAQs for quick and easy access to information on a variety of communication-related topics. Technical documentation, phone labels and user guides are just a few of the valuable tools available. Simply download and print. 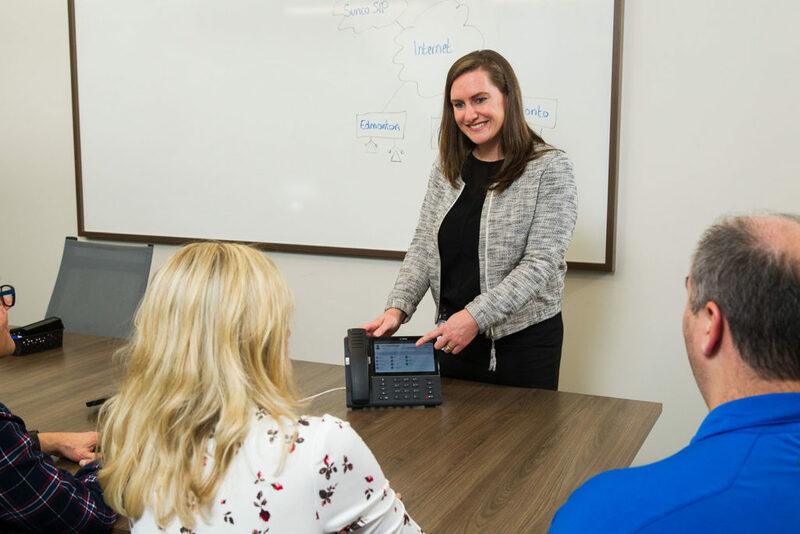 Our service department is standing by to help maintain, upgrade or replace your voice and data systems so your business is never left on hold. See, hear, touch and experience your new telephone system before you buy. Whether it is at our office or yours, a Sunco demo will help your business make a well-informed decision. We want to be your one-stop shop for all things business communication. Call us today for a free telephone bill audit.